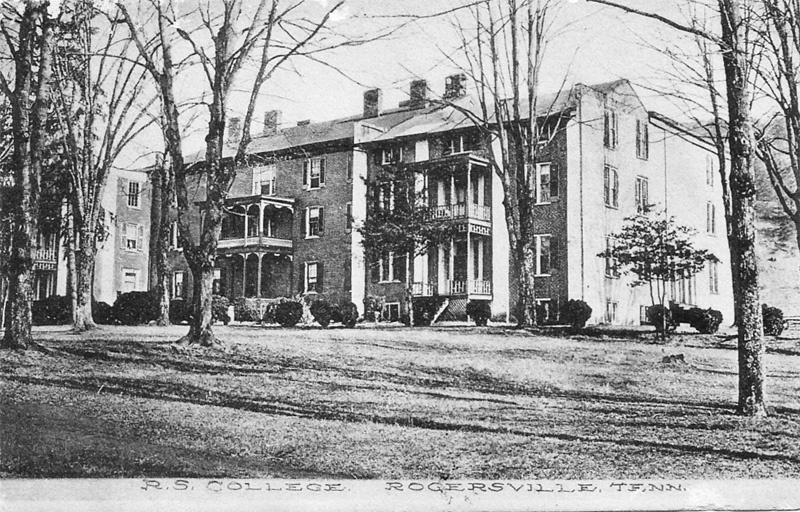 Rogersville Synodical College, a finishing school for women, originally established by The Odd Fellows, but, as building costs escalated, it was quickly handed over to the Nashville Synod of the Presbyterian Church. They kept it going until 1913, when it went under for lack of funding. There had been two bank panics early in the century and then came the recession of 1911 or so, which didn’t let up until World War I. “Hard times, come again no more”. This one was mailed from Indianapolis in 1915 (the day/month part of the mark is obscured) from another sister (maybe) of Miss Blanche Gladson. 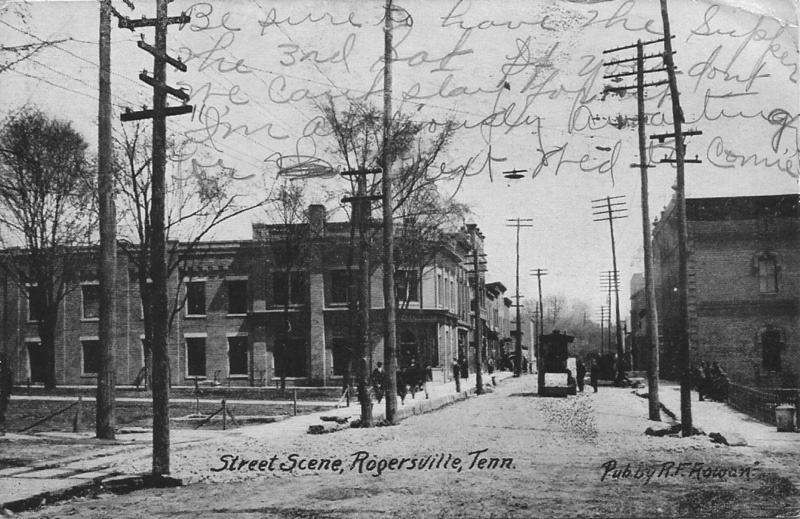 All the message on the front and the back involves and upcoming trip back home to Rogersville on the train and to be sure to have a good supper ready. The signatures on the card are a little confusing. On the back, the signature after “your loving sis” is H.E. B. On the front, the message is signed “Connie”. I’m not sure who Connie is. Blanche shows up in the 1910 census as living at home. She was born in 1898 or 1899 in Hawkins County. Her father was Mat, her mother Ida. She had three sisters and one brother. No sister was named Connie, but it could be that this “sis” was the wife of Hugh, the son. Then in 1917, Blanche wed Hayes King and the marriage certificate shows her as being 17 years old. Hmmm.